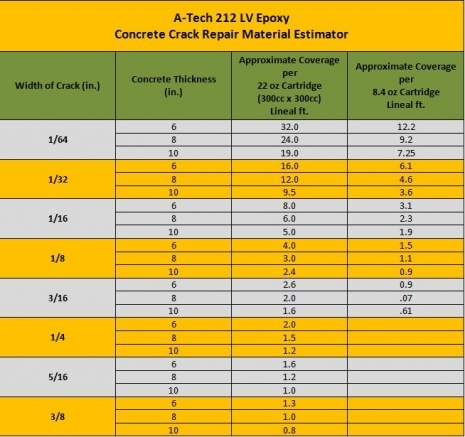 Repair a 6-10′ long foundation concrete wall crack with A-Tech 212 LV epoxy. Easy to use kit is for the do-it-yourselfer who needs to strengthen concrete and stop water. Use on cracked concrete foundations, retaining walls and delaminated concrete. Repairs hairline and wider cracks.